Experience popular works by Stravinsky, Mozart and Rodrigo under the masterful baton of Melbourne Symphony Orchestra’s Associate Conductor, Benjamin Northey, in this special evening at the Ulumbarra Theatre. The peerless final C major symphony of Mozart is a pinnacle of western art. It complements the inventiveness and melodic nature of Stravinsky’s ballet Pulcinella, a real showcase for the MSO musicians. Slava Grigoryan, one of the nation’s favourite soloists, takes centre stage for the most popular classical work ever written for guitar, Rodrigo’s Concierto de Aranjuez. Join us for a free pre-concert conversation with MSO Principal Trombone player, Brett Kelly beginning at 6pm. 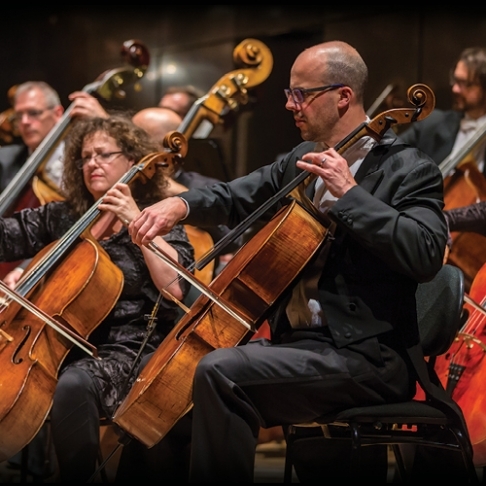 An Evening with the MSO is supported by the Victorian Government through Creative Victoria, Erica Foundation Pty Ltd, The Robert Salzer Foundation, and the Freemasons Foundation Victoria.